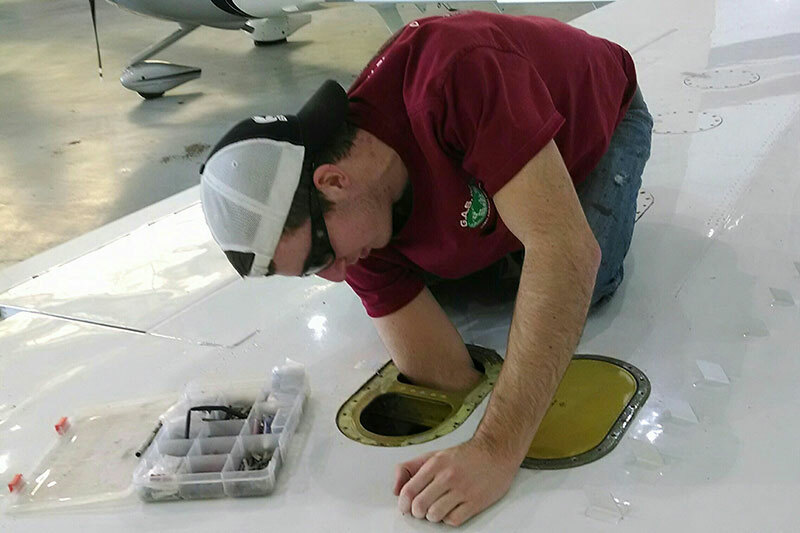 Aircraft fuel leak detection and repairs is a crucial service, as fuel leaks in aircraft fuel systems is a problem that can potentially shut down operations of your aircraft, causing major downtime if not detected in time. 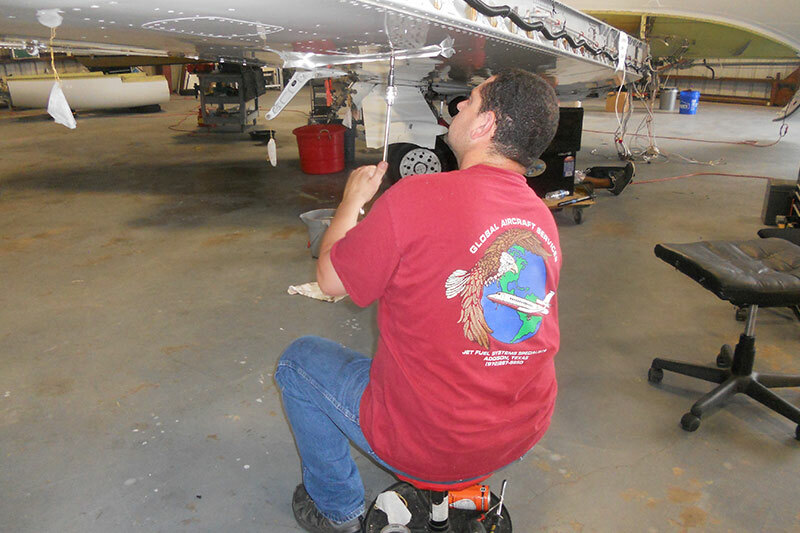 Regular maintenance and inspection of your aircraft fuel tanks is essential in order to avoid major problems, and calling the experienced professionals at Global Aircraft Service for fuel leak repair saves you time, money and resources. 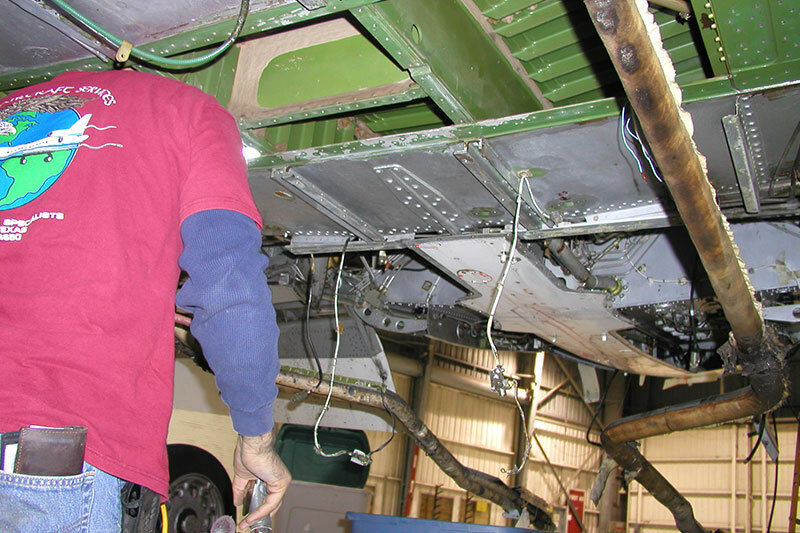 Our expert airliner fuel tank repairs combined with many years of experience allows us to provide you with the highest quality professional inspection. Depending on the make and model of your aircraft, the fuel leak detection process might need application of air pressure. Once the aircraft fuel leaks are isolated externally, we defuel, perform a pressure check and confirm the internal source of the leak(s). Before we perform any inspections or repair work, we will provide you with a list of discrepancies as well as a written estimate for your approval. 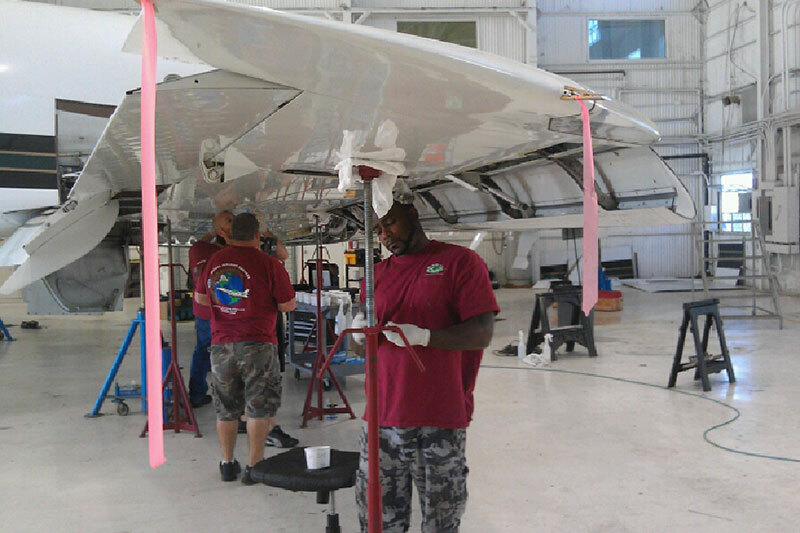 Contact Global Aircraft Service today and discover why we’re the go-to company for aircraft fuel leak repair and other related services in the nation!